As the weather changes, your skincare routine should change too. Look for beauty products that cleanse and combat oil, while also protect your skin from the sun and elements. These skincare lines offer cleansers, moisturizers and other skincare products that are ideal for the summer. This luxurious yet affordable line of skincare products was created in Paris at the renowned Centre Biodermatologie des Laboratoires Serobiologiques. In the summer it’s important that you protect your skin from the sun, as well as control oil, dirt and sweat. 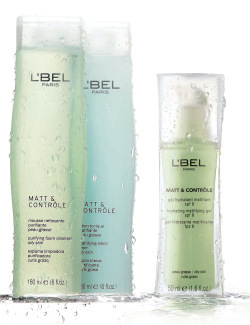 L’Bel’s Matt & ContrÃ´le line contains three products (a hydrating facial gel with SPF 8, a mattifying lotion toner and a purifying foam cleanser) that are perfect for summer. These L’Bel products, containing extract from the European AubÃ©pine Flower which is admired for its extraordinary astringent and balancing effect, help to control shine in the skin and make it feel soft to the touch, fresh and renewed. You can learn more about the entire line of L’Bel Paris products at Lbel.com. The Bioelements line is a favorite of makeup artist Tifanie White. She is the makeup artist to many celebs including American Idol’s Carrie Underwood and Kellie Pickler, as well as Martie McGuire of The Dixie Chicks. Tifanie White’s favorites include the Bioelements Moisture Positive Cleaner, a rich lotion cleanser with a mild foaming action that contains aromatherapist oils. She also loves the Bioelements Recovery Serum, a silky serum that gives an exceptional smooth-as-glass finish. “What a beautiful product,” says Tifanie, “it always gives a glow.” All products are available at Bioelements spas nationwide or online at SpaLook.com or DermStore.com. Okay it’s not exactly a skincare line, but it does affect your skin. This line of seamless slimwear is embedded with microcapsules that smooth and moisturize your skin while you are wearing it. That’s right – you get the extra support for bulging tummy and thighs, while at the same time the skincare treatment hydrates your skin and smooths the appearance of cellulite. SKINEEZ Skincarewear will be available exclusively at select Macy’s stores and Macys.com in mid-June. Derbe, a leading manufacturer of natural skin and hair care products since 1966, recently announced their revolutionary skincare line – BIODERBE. 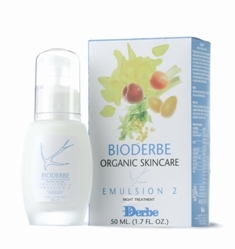 Products in the BioDerbe line provide a natural solution to skin care through an innovative combination of organic plants and vitamins. Products in the BioDerbe collection include Eye and Lip Lift Cream, Eye Gel for Puffy Eyes, Gentle Makeup Remover, Two-Stage Cream Soap, Rebalancing Toner, Emulsion 1 Day Treatment and Emulsion 2 Night Treatment. BioDerbe’s unique formula acts as a facial de-tox that counteracts everyday stress, pollution and free radicals and helps boost the radiance and brightness of a woman’s face, giving it new vigor and tone. Its deep hydration replenishes vitamins and nourishes the skin giving it a smooth and firm appearance and reducing fine lines. The collection can be found in select locations in the United States, Europe, Japan, China and Dubai, including luxury resorts, stores, spas and salons. You can purchase products online at gaiatree.com or shoplondons.com.